What Is It like to Move to Independent Senior Living in Herndon, VA? Senior living in Herndon, Virginia, offers the best of all worlds. You’ll enjoy life in the much-coveted Fairfax County, Virginia. You’ll have ready access to D.C., without all the traffic that comes with living in the District. And perhaps best of all, you won’t have to worry about the seemingly endless demands of homeownership. If you’re considering a switch to a more carefree retirement, here’s what you should know about independent living—and what you can expect from the transition. Most seniors say they want to remain as independent as they can for as long as they can. For many, this is synonymous with remaining in their own homes. Yet, remaining at home is often the very worst thing you can do to stay independent. You’ll have to worry about home maintenance. If you want to see your friends, you’ll need to drive to them. If you're interested in a class, you’ll have to get transportation. And if you live alone, you may feel anxious about activities such as gardening and cleaning, particularly if you’re at risk of falling. Over time, some seniors find that the financial, logistical and health concerns associated with living at home make them feel increasingly constrained. They might avoid home maintenance, spend less time driving and eventually find that they're spending almost all of their time at home, alone in a house that’s become little more than a headache. Independent living offers a chance to dictate your own life. You’ll have your own place, and no one will tell you what to do. You’ll also have the peace of mind that comes with knowing help is nearby if you need it. And best of all, a rich array of activities take place just steps from your door. 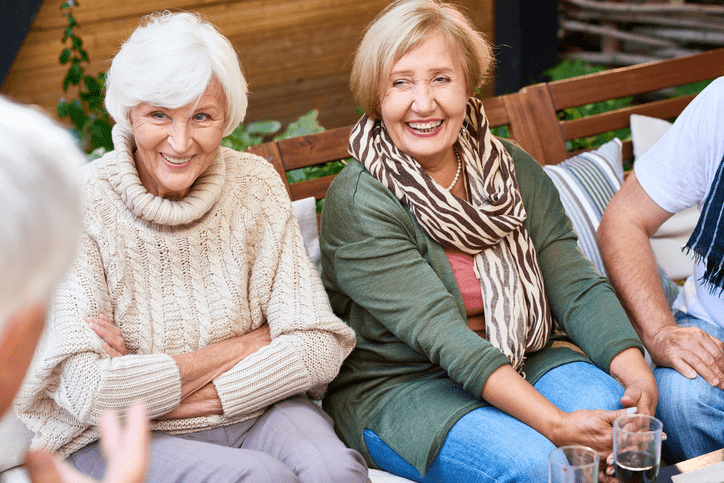 From classes and socials, to gourmet dining and trips to local attractions, independent living in Herndon, Virginia, offers a chance to make your retirement what you’ve always hoped it would be. Herndon offers the feel of an intimate, cozy and vibrant community, but with all the amenities of city life. Its Towne Square is the hub of community life, with a farmers’ market during the warm months, free concerts in May and a wide range of community events. Incredibly walkable, Herndon is a great choice for people who no longer drive—or for those who wish to avoid the hassle. History buffs can join the Historical Society or visit the Norfolk Southern railroad station that has been converted into a train museum. Don’t let the quaint Towne Square and friendly neighbors fool you—Herndon offers all the conveniences of city living, with easy access to chain stores, excellent restaurants and downtown D.C. Visiting family might enjoy a trip into Georgetown to shop or a chance to tour museums in the heart of the nation’s capital. A Day in the Life: What Is Life like in Independent Living? Arbor Terrace of Herndon offers a wide range of local activities for seniors of all backgrounds and interests. Check out the photos from our recent tour of D.C.’s legendary cherry blossoms. Or join us at one of our vineyard tours, like this recent excursion to Sunset Hills Vineyards. We host a monthly craft group, seasonal gourmet lunches and a wide range of health and fitness classes. Take a yoga course with one of our accomplished instructors or drop in for one of our health and safety seminars. Our residents love our special—and occasionally whimsical—events, such as our recent day spent getting facials. And we all appreciate great food. That’s why we had a Taste of Chocolate event at District Music Academy this past Valentine’s Day. Of course, we know that our residents care about more than adventure and fun. They also want to give back, invest in their communities and learn about the world around them, so we offer regular community activities. We recently visited Herndon ArtSpace, for their Autism, Art and Acceptance exhibit. Want to learn more about Arbor Terrace of Herndon? Give us a call or send us an email. Our friendly team can’t wait to tell you about all we have to offer!